It is the oldest qualifying race on the Ironman circuit, having started 22 years ago, and seems to get bigger and better all the time. 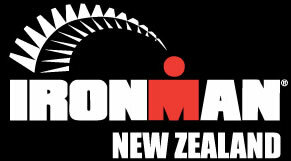 Bonita Ironman New Zealand takes place in the beautiful resort destination of Taupo, which is about three hours drive south of Auckland, and it's hard to imagine a race that could offer much more to its competitors. The swim course in the beautiful, clear, waters of Lake Taupo is a one loop affair around a rectangular course, which, if the water is calm, is laid out nicely for a fast first leg of the day. Once out of the water, the athletes run past the Lake Taupo Yacht Club to T1, and then start the bike course by riding along the lake next to where they just finished swimming. The initial few kilometers are flat, but a quick left turn takes the athletes up a hill that is a precursor of the fun to come. The beautiful two-lap run course follows Lake Taupo down to Five Mile Bay and then returns back to town. The course could be described as "rolling," although there are a few good hills to be negotiated along the way.